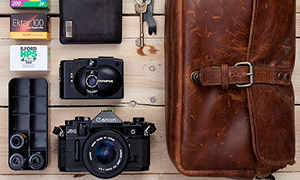 A lovely mix of modern and classic in todays bag. 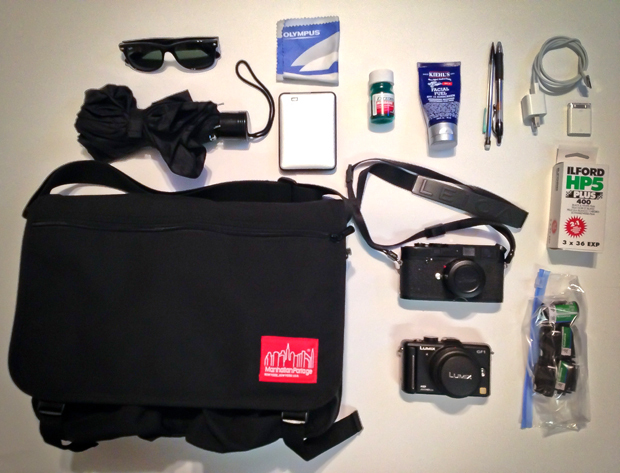 Nam shoots the streets on New York, so lets see what he keeps in his bag when he is out shooting…. My name is Nam Tran. I am based out of Boston, Massachusetts, but will soon be relocating to Manhattan, New York! I’m excited to show you all what I carry around on a daily basis. 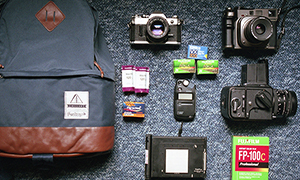 The camera portion of my bag is relatively tame and simple. I carry my Leica M4-2 for my street photography projects and my Panasonic GF1 is mainly for shots with friends and family. 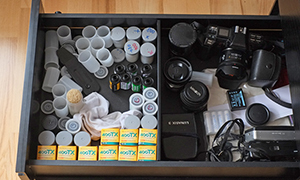 I only carry one lens for each camera to keep things as simple as possible. You will notice that most of the contents in my bag are just odd and ends that I usually need to keep myself going throughout the day. I hope you all enjoy, and please don’t hesitate to get in contact me. I love making new friends! I usually also have various other things like a water bottle and snacks depending on the day. Thanks for sharing your bag and all of your links Nam. This is a good lesson, make sure you add plenty of lovely links. Come and comment and get yourself some Camera Karma. 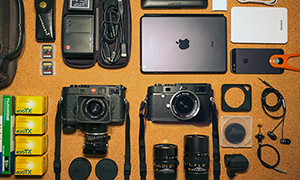 It is right that people with a Leica like to show they have a Leica?… most of the camera bag shown here have Leica. It’s getting boring. There are plenty of bags without Leica cameras. Just check through the archives. What about your bag? 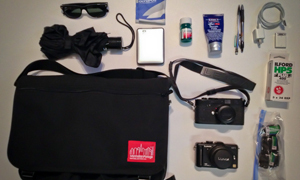 Thank you for showing your “Inside the Bag”! Interesting blog and very nice B&W Photography on your flickr-stream! What else is better than having the opportunity to shoot streets around New York City! ?